Read-out Instrumentation Signpost: MES for Pharma in Middle East & Pakistan. Werum IT Solutions has announced a new partnership with Emad Trade House. Emad Trade House is a leading trading company with over 40 years of experience in providing cost effective solutions such as raw and packaging materials as well as process equipment to the pharma, cosmetics, food and beverage industry in Pakistan and the Middle East region. 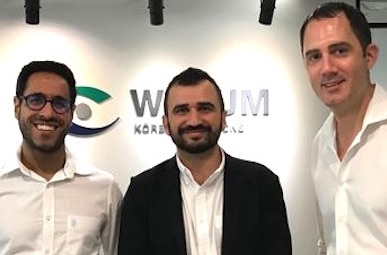 LtoR: Orchun Thakral, Senior Manager of Sales & Marketing WErum; Emad Shabbir, Director Emad; David Margetts, Managing Director Werum.